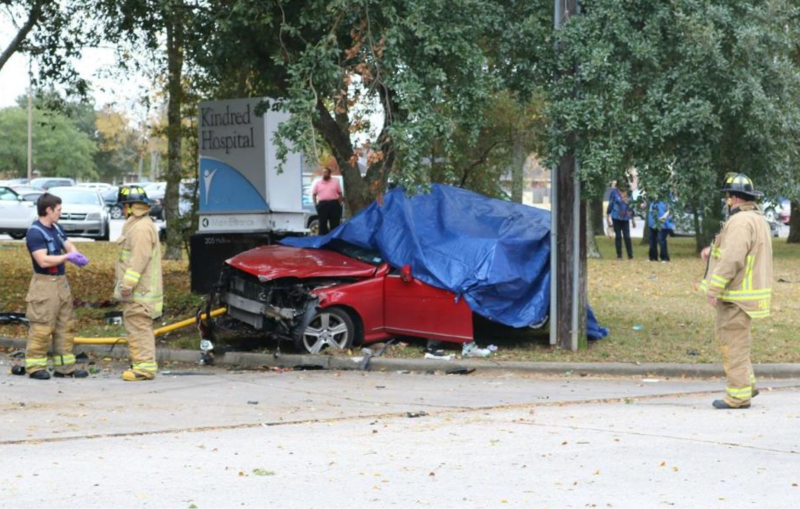 Houston, Texas – November 29, 2018: Two adults were killed and a 4-year-old was injured in a crash that happened around 1:00PM in the 200 block of Hollow Tree Lane, near Westfield Place. Officials tell us that a vehicle was traveling westbound at a high rate of speed when it lost control and collided with a light pole. The female occupant was pronounced deceased on the scene, the male occupant was transported to Houston Northwest Hospital where he later died. A 4-year-old child injured in the crash was taken by Lifeflight and is now listed in good condition. Reportedly, the child was in a booster seat, however, the seat was unrestrained. At this time, the crash is under investigation by the Harris County Sheriff’s Office.